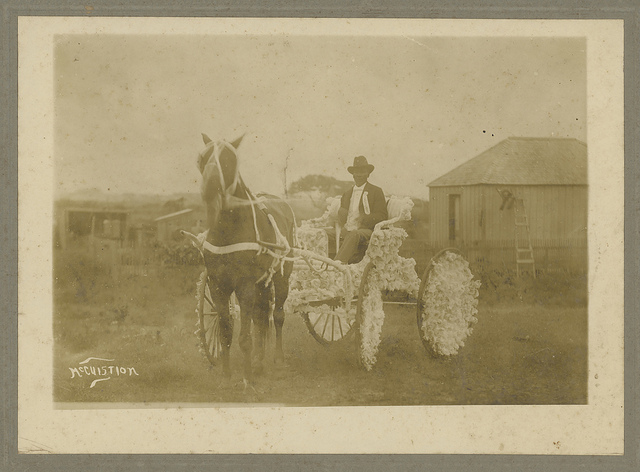 Mary Freeman, a doctoral student in Columbia’s History Department and a valued student employee here in the RBML, shared a few of her findings related to the Juneteenth, or Freedom Day, holiday. Juneteenth, a holiday that commemorates the announcement of the abolition of slavery on June 19, 1865, presents an opportunity to highlight a rare resource at Columbia’s RBML in the Frederic Bancroft Papers. 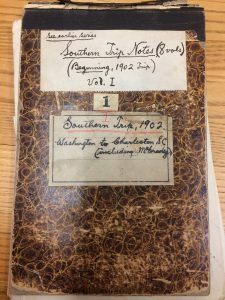 Bancroft’s notebooks include interviews he conducted with former slaves during trips he took to the South in the early 1900s. Bancroft recorded their answers to questions he asked about their experiences under slavery as well as many of his own observations about life in the Jim Crow South. 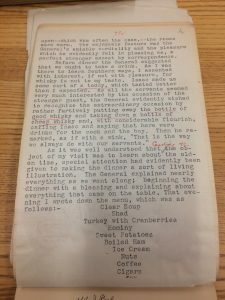 During the Great Depression, the Federal Writers’ Project of the Works Progress Administration assembled an extensive collection of narratives told by former slaves. 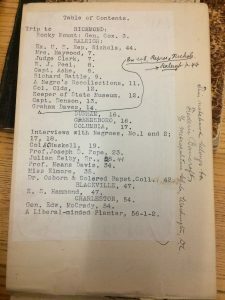 Despite its biases and limitations—the interviews were conducted almost entirely by white researchers, who often used racist dialect to record the words of their subjects—historians have come to rely on the WPA collection as one of the few archival resources that tells the story of emancipation from the viewpoint of former slaves who experienced it. Frederic Bancroft, who received his PhD in history from Columbia, interviewed former slaves during his travels in the South in 1902 and 1907, thirty years before the WPA conducted its interview project. Bancroft used these research notes when compiling his book, Slave Trading in the Old South (1931). Bancroft’s interviews suffer from some of the same interpretive issues as the WPA sources. Bancroft grew up and was educated in the North, but he, like most white Americans of his time, held racist views. Furthermore, many of his notes are in shorthand, which presents a challenge to modern-day readers. Even so, they offer a rare glimpse into the experiences and memories of former slaves and their descendants. 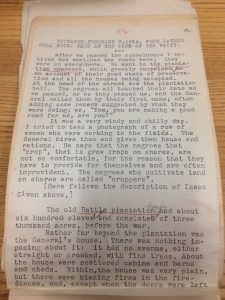 This entry was posted in American History Collections and tagged enslavement, Frederic Bancroft, Juneteenth, plantations, sharecropping, slavery, white supremacy, WPA on June 19, 2018 by Kimberly Springer.